I started out this one with Milani Orchidia. Orchidia is one of Milani's newer colors and is a STUNNING purple. I don't usually care for light colors on me because they tend to not look good with my pasty white skin. But this one is just the right shade that I fell in love with it. It is a red-toned lilac with a slight white and blue shimmer. Simply stunning. 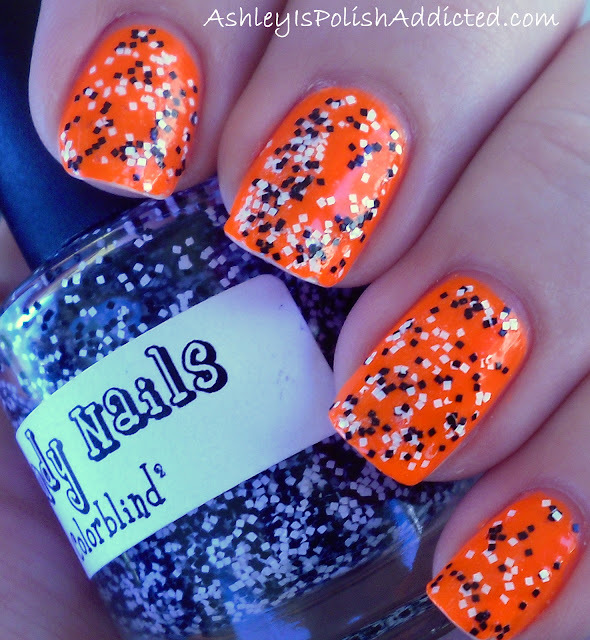 The formula was easy to work with and took 2 coats for full opacity. Milani Teal Jewel FX glitter is a teal micro-glitter with large teal, green and silver hex glitters. This was easy to apply, as far as glitter goes. I did have to do some "manipulating" but I do that with all glitters. It is only made more intense because of my need for "organized random." LOL I did not apply a top coat but it was not overly rough so one coat of top coat and you should be good to go. What do you think of these colors? Do you have them? If not will you be purchasing them? Milani polishes retail for $4-$6 and can be purchased at drugstores, grocery stores and online at MilaniCosmetics.com. Disclaimer: The products in this post were provided to me by the manufacturer or their PR company for consideration. All opinions are my own. See my disclosure tab for more information. I have not kept it a secret that I love Dandy Nails. It's my favorite indie brand because of the consistently good formula and application. Not to mention the colors are very unique and lovely! Wonderwall is no exception. It has an amazing formula and what you see in these photos is just one coat. I layered Wonderwall over Sinful Colors Dream On and I absolutely LOVE this combo! The periwinkle and white matte glitters in Wonderwall really pop over the bright fuschia Dream On. I have been staring at my nails all day (and believe it or not I don't normally do that LOL.) I topped it off with one coat of Seche Vite and it was smooth! The first photo is inside under artificial lighting and the rest were taken in the scorching Arizona sunshine. 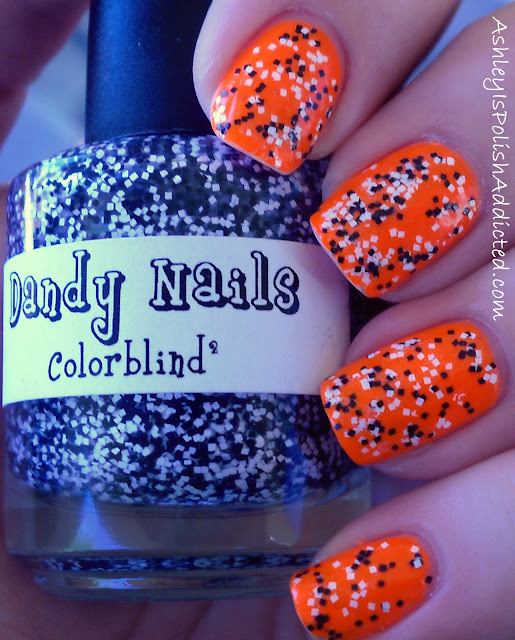 You can purchase Dandy Nails at her Etsy shop HERE. She is currently on vacation but may be opening this coming Friday so make sure to follow her Facebook page for updates! I have added MANY new items to my blog sale! Click here to be taken to my blog sale page! 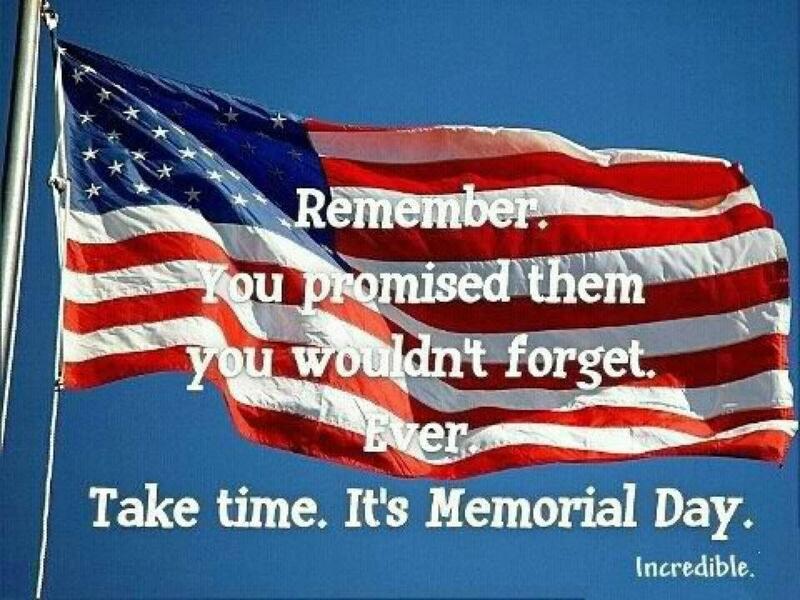 Happy Memorial Day to all of my US readers! As many of us enjoy our day off today having barbeques and relaxing with family let's not forget the reason for this holiday. Let's not forget to honor all of the men and women who have lost their lives for our country as well as the ones who are still serving, as well as their families. Your sacrifice for your country does not go unnoticed, as I am sure it seems at times. I just want to say THANK YOU from the bottom of my heart to each an every one of you. I decided to try needle marbling today and see if I had better luck with it than with water marbling. I am not 100% happy with it but I think over time I can actually see myself getting better at this technique. I think water marbling may be a lost cause for me. If you haven't seen the needle marbling technique (also called a dry marble) you can look it up on YouTube, there are several tutorials on there. I wanted to do a patriotic marble so I decided on red, white and blue (of course LOL.) I think it ended up looking like the "weathered" stripes of our flag. It also reminds me of a watercolor painting. I used Milani White On The Spot (my favorite white), Zoya Sooki and Zoya Ibiza. I added a few rhinestone stars on my ring finger and topped it all with Seche Vite. What do you think of my first needle marble? Weathered flag, watercolor or just "needs more work?" One more share of a comparison post today! 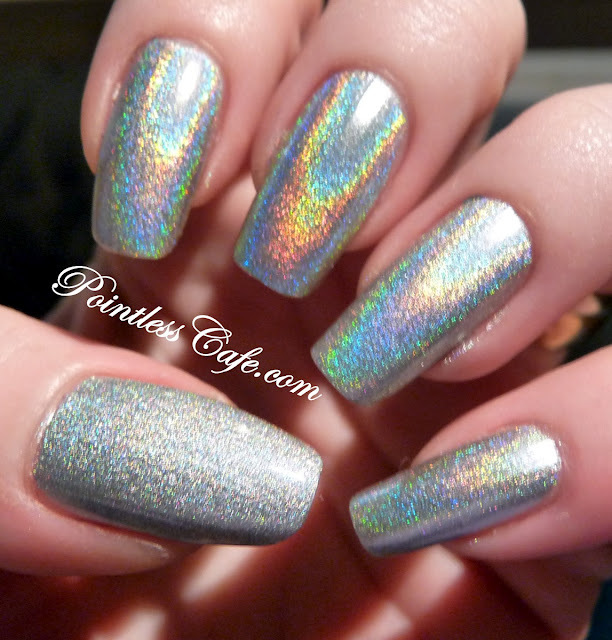 My friend Sheila at Pointless Cafe did a comparison of several silver holographic polishes and it is very informative! Check it out here! I usually don't create blog posts just to share someone else's blog post (I usually share them on Facebook and Twitter) but this one is so informative that I thought everyone should see it. 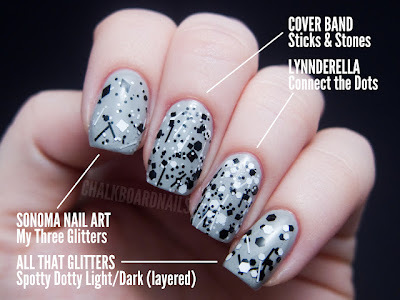 My friend Sarah at Chalkboard Nails has an obsession with black and white glitter and has created a comparison post with 20 of them! Click here to be taken directly to her post. 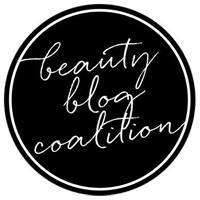 I was contacted by a representative for Mesothelioma Cancer Alliance and asked if I would be willing to do a guest post on how women are affected by the effects of cancer, as well as other illnesses, and how keeping up a normal makeup routine can make you feel better about yourself and give you a more positive outlook on your diagnosis. I decided to add a manicure to my post in honor of all the cancer patients, survivors and victims out there. Mesothelioma, to the best of my knowledge, does not have a dedicated "month" or "ribbon" as many types of other illnesses do so I decided to add a manicure in honor of a couple of different types of cancer. If you haven't heard about the "Go Gray in May" awareness it is to raise awareness for brain cancer (although some sources site it as awareness for strokes, which is also very important.) I then added a pink ribbon for Breast Cancer Awareness. Illnesses that change a person's appearance can have a demoralizing impact on self-image and self-esteem, according to a report on the Radcliff Publishing website. It does this by making the person in question feel as if she is losing the person she used to be. Women who are facing mesothelioma or other types of cancers, the loss of self often starts with the loss of hair. These same women find that they are stigmatized in ways that people who have more “hidden” illnesses like heart trouble don't face. In these cases, a woman can regain her self-confidence and self-esteem by doing something fairly routine to most women...by adhering to a makeup and fashion routine that reminds her of who she is at heart and helps to look and feel more like herself. People like labels. She's funny. She's smart. She's good at math. She's a cancer patient. The thing about the diagnosis is that people start to get treated as one and the same. According to AcuMedicine.com, a diagnosis is a fiction, meaning that it's only part of who is a person is. It is not something that a person should take to heart, much less become with her whole being. But this often proves difficult when other people around her remind her that she sick. They can see it. Her appearance betrays her. But it doesn't have to. Nowadays, there are plenty of resources out there that will help a woman dealing with a serious medical challenge. There are even makeup classes that teach a woman how to hide some of the effects of an illness. But even more importantly, these tools remind a woman of the snazzier part of herself. For a while she may forget that she's the gal who can't wait to wear her favorite pair of shiny red sandals to the summer barbeque or that she has really beautiful eyes—made all the more so when she adds a bit of eye shadow and some liquid eyeliner. These physical elements give her some of her sass back and help improve her mood and outlook on life. And according to Live Strong, how positive a person is about their prognosis directly contributes to a person's ability to recover from an illness, whether it’s a prognosis of mesothelioma or moving away from a bout of winter depression. Many things go berserk when a person is facing an illness and life becomes a series of unpredictable events at times. Having something to do that a person can look forward to and that makes her feel good can give her back an element of control. The University of Chicago reports that women who faced a cancer diagnosis often got a new lease on life when they allowed themselves to pick up their eyeliner pencils again. While some of this has to do with looking more like their normal selves, it also has to do with the ritual of putting on pretty makeup and choosing nice clothes to wear. Rituals help give people a part of their identity—something very important to someone who feels as if she's lost it for some reason. While makeup and clothing aren't a cure for sickness per se, they do play a vital role in the way a person recovers from the challenges she's facing. Maybe more importantly, she not only gets her sense of identity back, but she remembers what it's like to have fun and to put on her dancing shoes. All of these things offer some welcome relief to someone who might begin to feel like she is the illness she has rather than being a person—a whole person—who happens to be living with an illness. Raindrops is a light grey with scattered glass flecks. It is much prettier in person than it is in my photos. Anyone who knows me knows how much I LOVE the rain. Arizona isn't exactly the ideal place for someone who loves the rain. LOL But this reminds me of exactly how the sky looks when it rains so at least I can dream of it. The formula was very smooth and easy to work with. I used 3 coats for full opacity but you can still see slight VNL on my pinky. I think next time I will layer it over a grey creme to conserve the yummy goodness. Now for way too many photos (hehehe) in sunlight and indoor lighting. Isn't she lovely? Do you have Raindrops? As I stated earlier this one is discontinued (I would suggest keeping your eyes out on eBay and blog sales if you want it) but other Illamasqua polishes can be purchased at Sephora.com and Illamasqua.com. I wanted to put all of these gorgeous browns into one mani so I put them into a gradient. Unfortunately my gradient skills were lacking last night so I decided to add some stamping. I'm glad I did because I think the gold looks amazing over the browns. 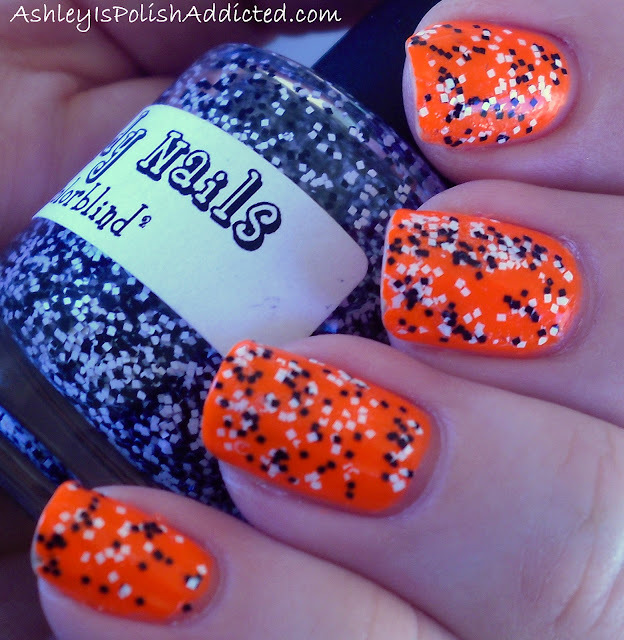 Plus I found another polish that is great for stamping! I will post some individual polish photos and then another pic of the final look. First up is Morning Coffee. This color is amazing. I must apologize for my photos on this one. I was playing around with my lightbox and the photos didn't turn out very well. Unfortunately I didn't know this until about 30 minutes ago. LOL This is such a lovely creme, so creamy and smooth. Much like morning coffee. *wink* The application was amazing and it is shiny on its own. This is 2 coats and no top coat. Up next is the other coffee-themed creme, Dark Coffee. Might as well put those together, right? This one is much darker, no cream and sugar in this one! Amazing application and as shiny as a jelly but with the opacity of a creme. This is 2 coats, no top coat. Please excuse the doggy hair in my nails, again I did not notice this until about 30 minutes ago. Next we have Chocolate Sprinkles. I LOVE this one. It has a gold shimmer that makes it look like it is lit from within. Another 2-coater with amazing application but this one does have a top coat to help bring out the shimmer. The last one I have for you tonight is the polish I used for stamping in my finished mani. My hands look blue in these pics, it was the only way I could make the color of the polish turn out correctly. Every other way was too brassy so please forgive the blue hands. This one is also a "wear test." I had this on for almost 24 hours without top coat for these pics. You can see it wore very well, especially for a foil. Two coats and no application issues. And one last look at the finished product.